Arctic Alaska spans the northern edge of the state. It stretches from the Canadian border on the east to the Chukchi Sea to the west. 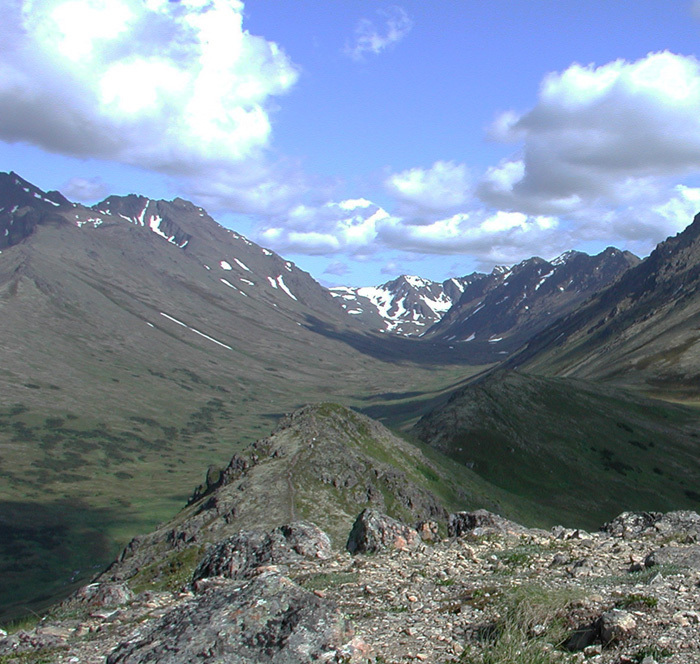 The Brooks Range forms the southern border. 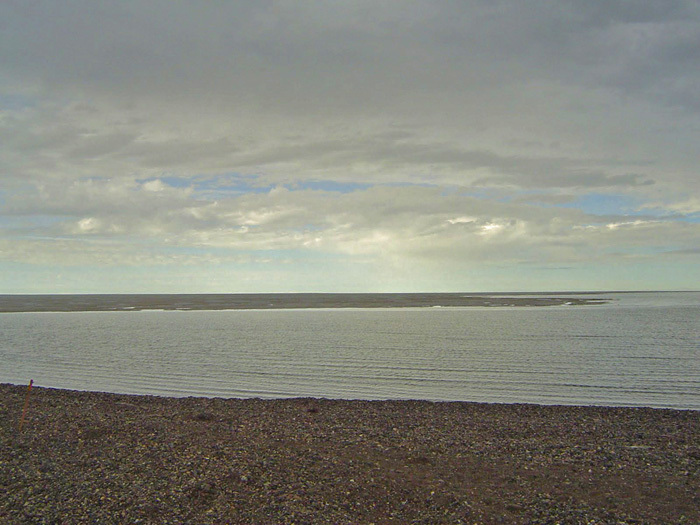 The Arctic Ocean marks the region's northern edge. Very few people live in this area. 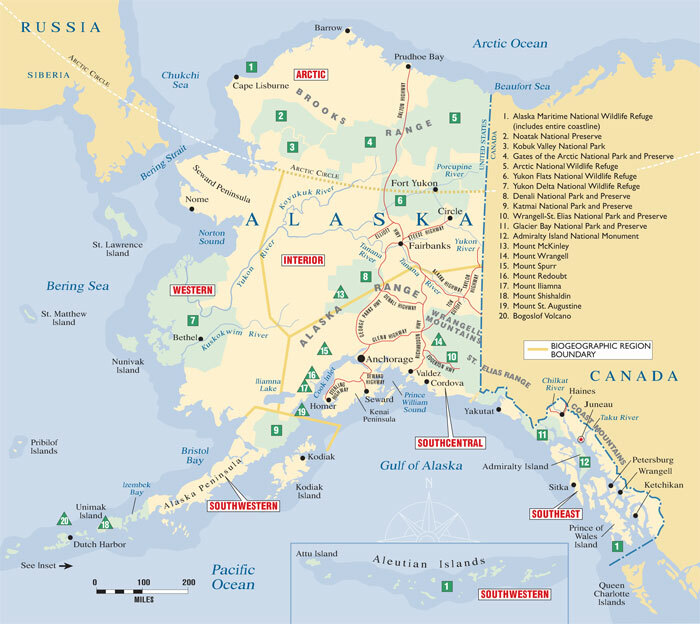 Barrow, the northernmost city in the United States, and Kotzebue, located on Norton Sound, are the largest towns. 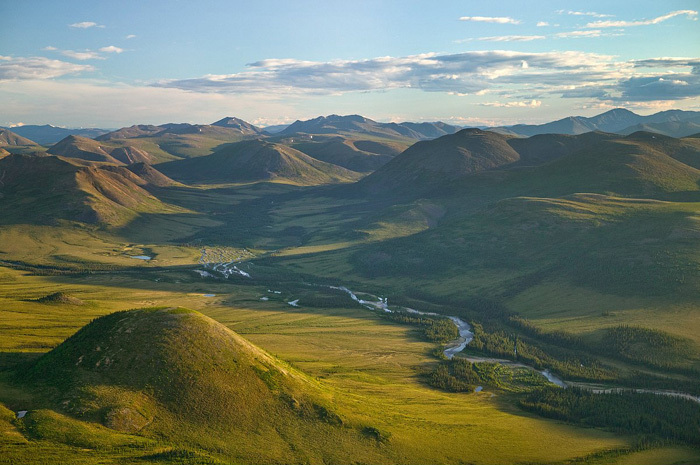 The land north of the Brooks Range is flat and treeless tundra with many rivers. Huge herds of caribou travel across the area. In the spring, the caribou come here to have their babies. They take refuge from the millions, if not billions, of mosquitoes in the breezes off the arctic coast. This is also the area where millions of birds come to nest and feed on those same mosquitoes. Whales, polar bear, and bearded seals live offshore. These sea mammals are an important source of food for the Inupiat Eskimo people who live here. 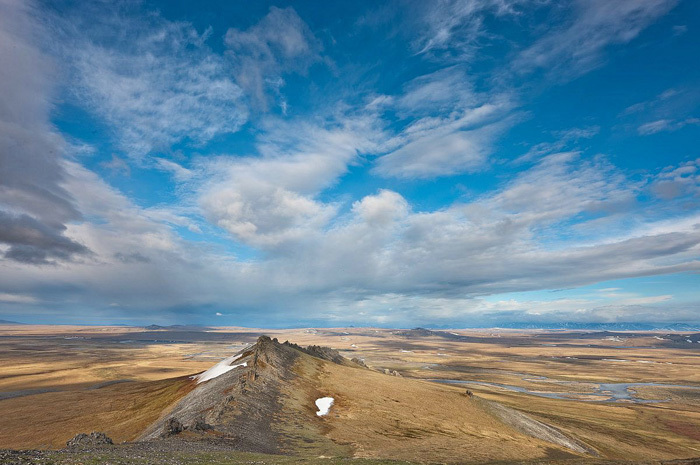 Aleuts were the first humans to live in this harsh land with plentiful wildlife. The Russians came in the 18th century to hunt seals and otters for their fur. 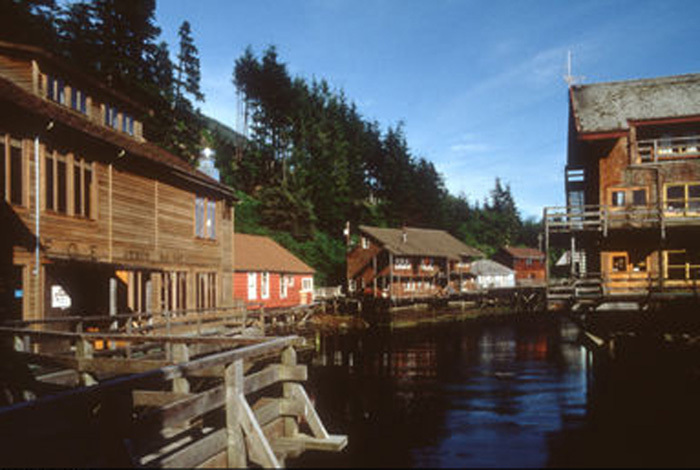 Kodiak was the first capital of Russian America, as they called Alaska. 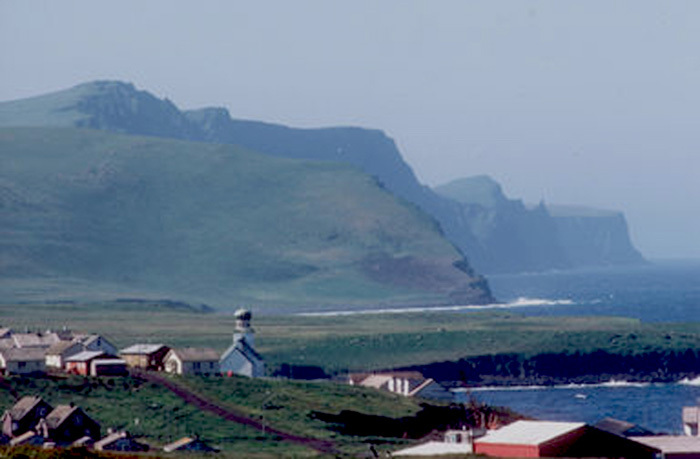 During World War II, the Japanese invaded Attu and Kiska Islands in the Aleutians. The world-class fishing brings lots of people to the region now. If you have ever watched "Deadliest Catch" on the Discovery Channel, you've seen the commercial fishing folks at work. Many people fly in to the lakes and streams of the area to catch trophy-sized salmon and trout. 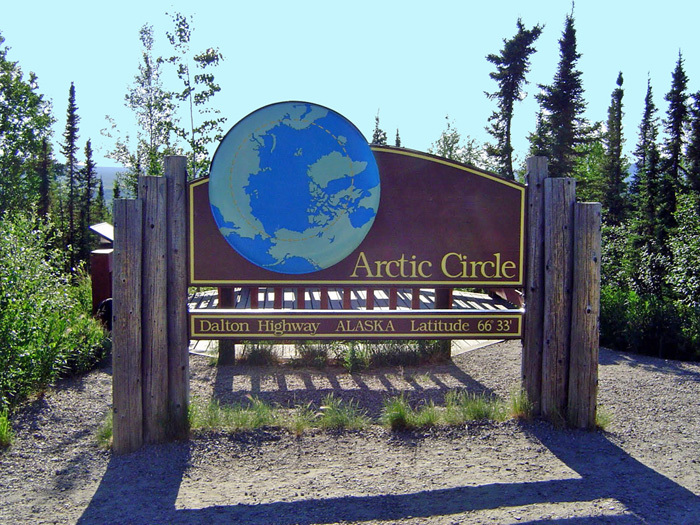 Southcentral is home to more than two-thirds of all the people in Alaska. 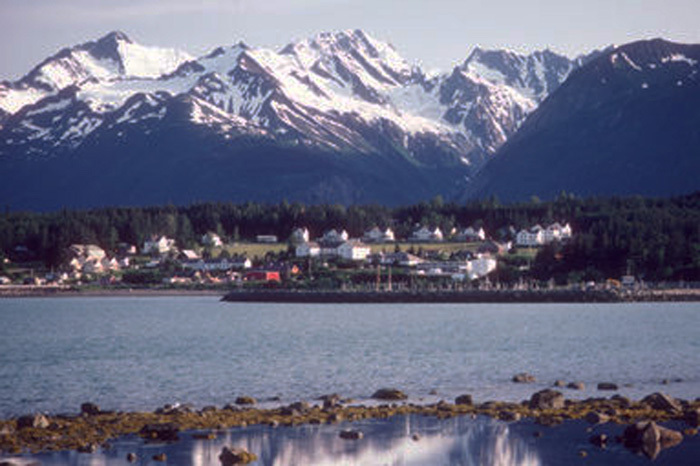 Anchorage, Alaska's biggest city, is in this region. There also are lots of animals in this region. These include brown bears, wolves, moose, caribou, Dall sheep, mountain goats, lynx, beavers, fox, and hundreds of species of birds. 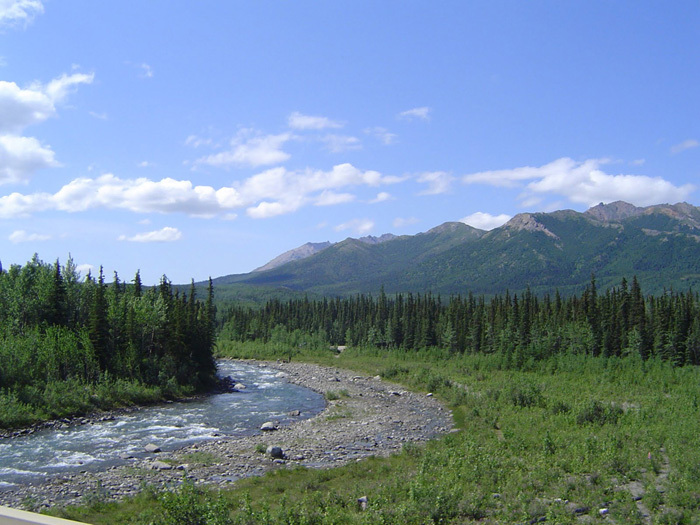 You'll find more variety in land and climate here than any other part of Alaska. Thanks to the warming effects of the ocean, most of the weather is milder than the Interior and Arctic. Still, some inland areas can be among the coldest in the state. You can climb mountains, hike in broad valleys, and sea kayak in the protected waters of Prince William Sound and Kachemak Bay. Rivers offer some of the biggest runs of salmon found anywhere in the state. Athabaskan Indians, Yupik Eskimos, Aleuts all called this region home. Southeast Alaska is the region that looks like it should be in Canada. It is often called Alaska's Panhandle. You can see that if you think of the rest of Alaska as a pan and the long and narrow Southeast Alaska region as the handle. 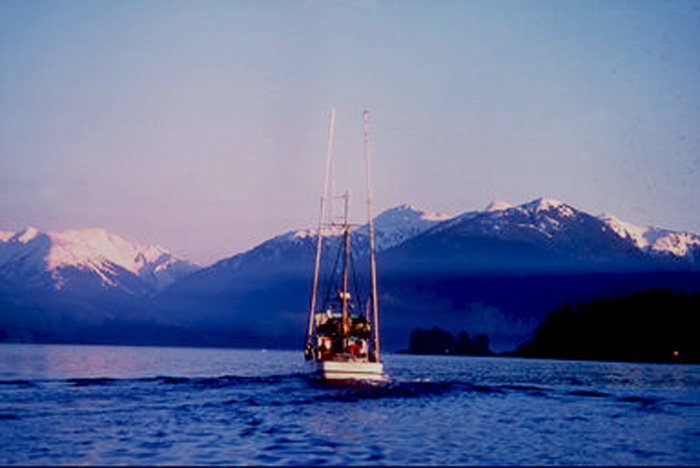 It runs 500 miles along the northern Inside Passage. This waterway snakes through a maze of islands offshore from the mainland of Southeast Alaska. These islands are also part of Southeast Alaska. 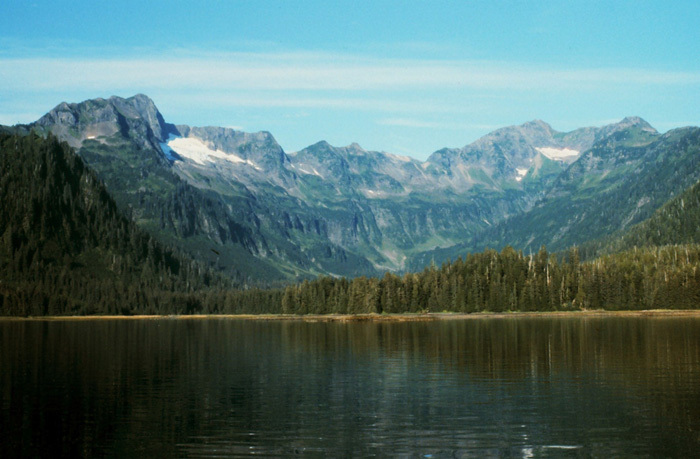 The Coastal Mountains, some of the highest peaks in the state, form the border between Southeast Alaska and Canada. These mountains are one of the reasons this area is one of the wettest on earth. The warm, wet air blows in off the Pacific Ocean. This heavy air bumps into the mountains and is forced up and over them. As the air rises, it cools. Then the heavy clouds build up with moisture until they can't hold any more and rain pours down. 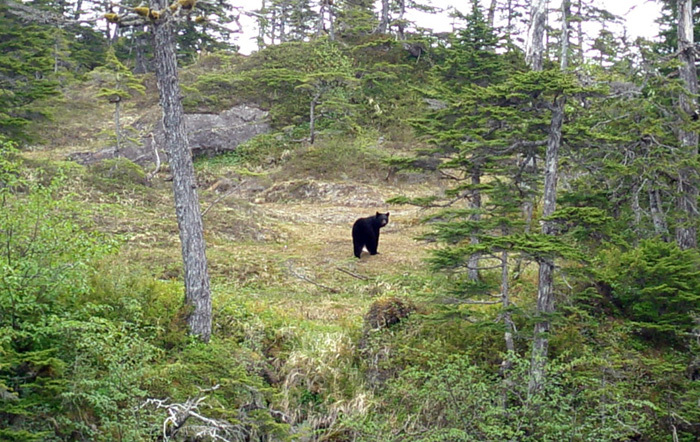 This near constant rain over thousands of years created the rainforest that now forms the Tongass National Forest. It can rain up to 200 inches in just one year. The forest provides a great place for deer. Mountain goats roam the mountains and whales and porpoises swim along the protected waters. Salmon are plentiful. This rich region was a great spot for the early residents. Tlingit, Haida, and Tsimshian Indians live here. Juneau, Alaska's State Capital, is located in Southeast and is the area's largest city. Many towns in Southeast began as centers for logging and fishing. Tourism is a big business in Southeast today.